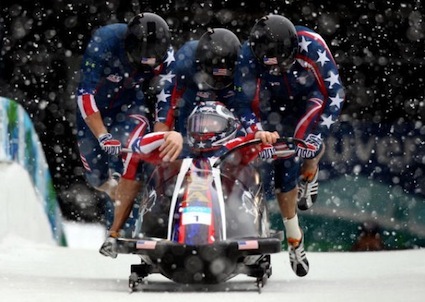 U.S. Olympian bobsledder retires to join Special Ops. After serving as a fire team leader deep in the mountains of Afghanistan and toting an automatic weapon weighing more than 22 pounds when fully loaded with 200 rounds, bobsledding just wasn’t the same anymore for John Napier. So, nearly two years after that life-changing, five-month stint with the Vermont National Guard in the midst of a foreign war, the No. 2 driver on the U.S. bobsled team behind Steven Holcomb has decided to give up the only life he’s ever known for a chance to become an elite soldier. Napier told his teammates last week that he was leaving the team to concentrate on becoming a member of a special forces unit with the Army or Navy. Read the rest of the Associated Press article here. 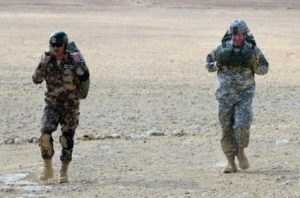 U.S., Jordan to participate in Exercise Eager Lion 17-nation war games.